New "DS-Line" and "TSL Pro-Line" Double & Triple Sealed Aluminium Inspection Chambers; exclusive to EcoGrid in the UK! Note: Our Double Sealed Aluminium Covers feature four lifting points as shown in the second image in the product description below. 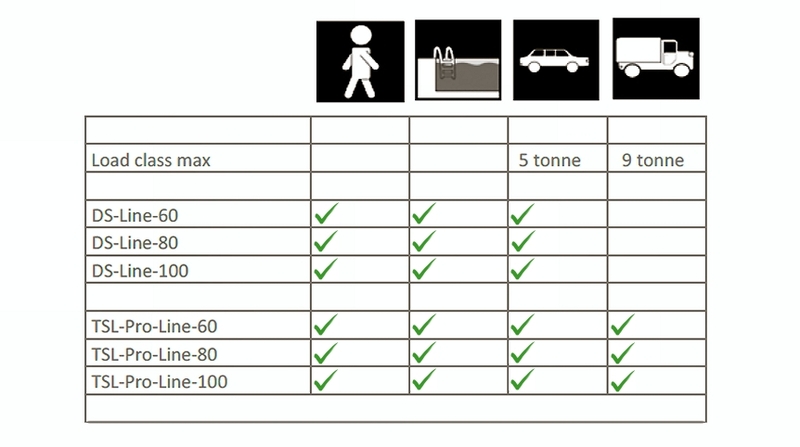 If you face any difficulty clarifying what the clear opening size corresponds to, please refer to the last featured image (above). The best way to decide which cover is most suitable for you is by measuring the hole in the ground that is being covered. 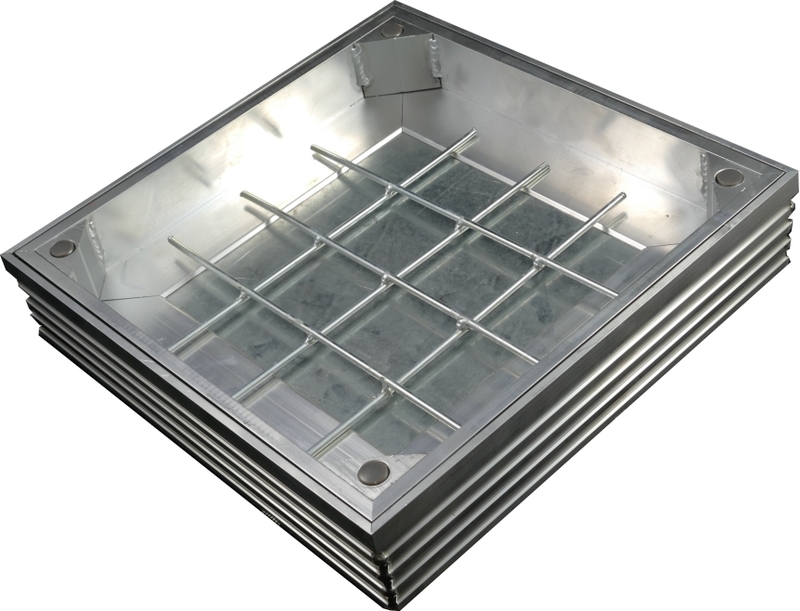 Introducing the DS-Line Aluminium Inspection Chambers – new and exclusive to EcoGrid Ltd in the UK! 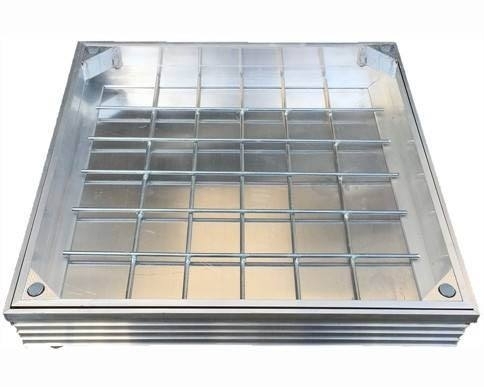 The brand new DS-Line recessed manhole covers are double sealed, featuring a highly aesthetic extruded aluminium construction manufactured to BS:EN124 standard, with a reinforcement mesh and lifting keys provided. Perfect for exterior use – covering a wide range of applications with ease – including block paving, as shown in the selection of installation images shown above and below. Our DS-Line-60 cover has a height of 60mm overall making it simple to select the right recess. An adour and waterpoorf aluminium cover that's self secured to the outer frame, featuring two seals: one at the base and a "T-rubber" seal built-in to the side of the outer frame. The unique "T-rubber" seal allows for an additional odour barrier, elasticity to avoid tension between the recessed cover and frame, and the prevention of dirt between the cover and frame. Perfect for exterior applications. These new covers are also available in 100mm depths with bespoke sizes on request. 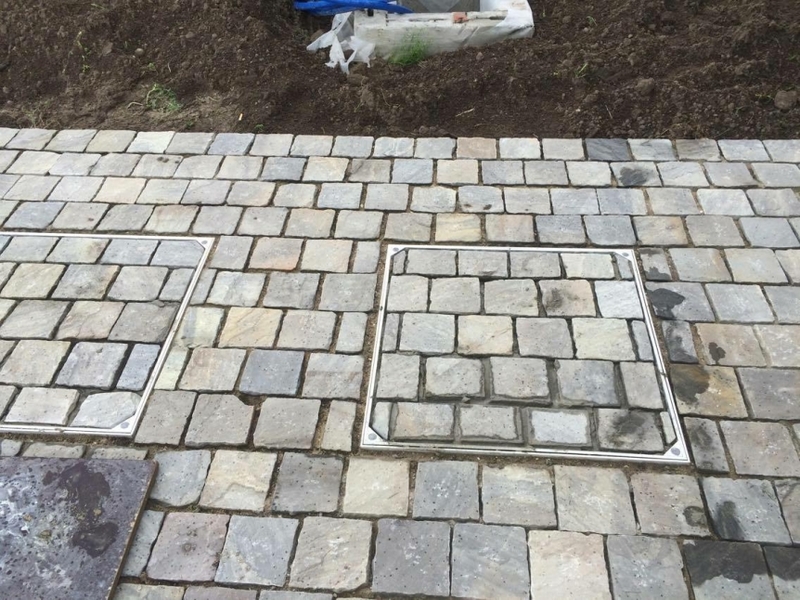 We offer a made to order service for a vast range of manhole covers to meet your requirements: biomass, multi-part, decorative finishes, bespoke sizes, extra security, spring assisted and more. 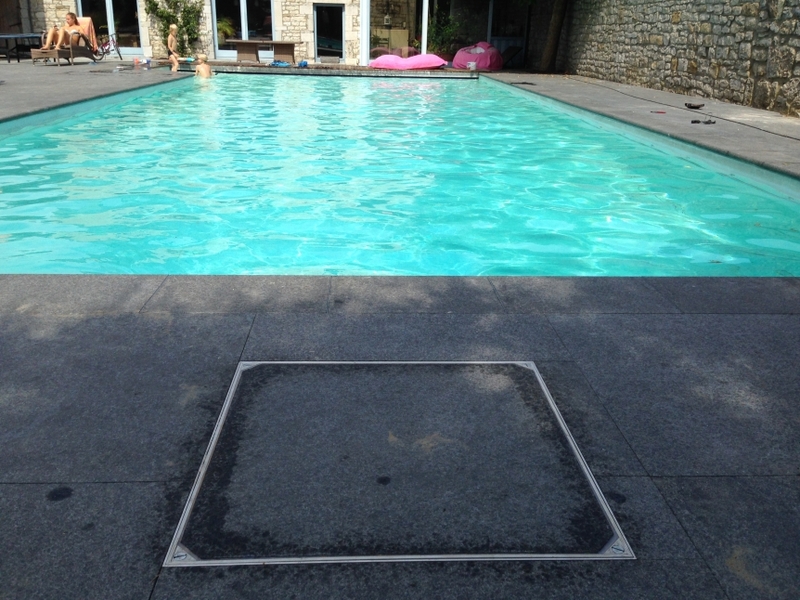 Bespoke manhole covers, including EcoGrid and GrassTop Covers, are non-returnable items as they are made to order.